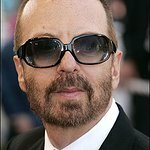 Musician Dave Stewart has donated the suit he wore when he accepted the Awards for Outstanding Contribution to British Music for Eurythmics (Silver Clefs Award by the Nordoff Robbins Foundation) in 2000 to the world’s leading Eurythmics fan site for a charity competition. Ethrill.net has been collecting rare items like lithographs and deluxe books, limited vinyl and much more from fans of the band to give away as part of the anniversary of Annie Lennox's SING Campaign to help prevent the spread of HIV in South Africa, where 1,000 people die from AIDS-related causes every day. Since 2007, SING has raised over $2 million, and helped over 100,000 people affected by HIV in the Eastern Cape of South Africa – but there is much more work to be done. All you have to do to win is make a donation to the SING Campaign through the Ethrill.net website before December 24.